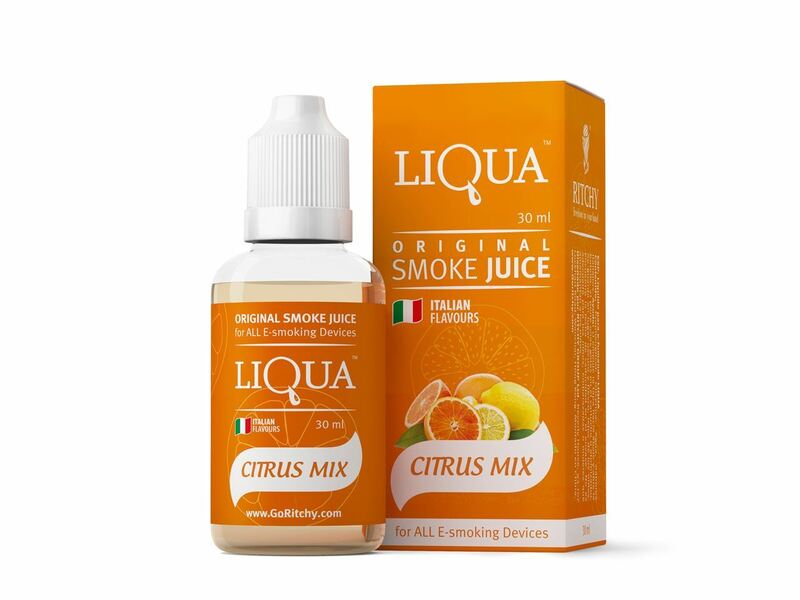 Buy Liqua E-Liquid - Citrus Mix 30ml in Brisbane, Australia. Free Delivery* and Discount. So what is Liqua E-Liquid - Citrus Mix 30ml? Our reviving Citrus Mix coupled with unique aroma of grapefruit with sweet and subtle knot of mandarins and oranges. This flavor is charmingly sweet yet offers a sharp blend complimented with a new touch and stresses of citrus peel. Refreshing E-liquid Citrus Mix together with grapefruit & oranges. In the summary, this flavor is charmingly sweet- acidic and underlined with new touch and a sharp smell of citrus peel. LIQUA’s full range of tastes are designed carefully by those who really know what theyshould be – the most professional flavorists from Italy. That means LIQUA’s Tobacco taste is truly right - as fresh as natural leaf Tobacco. LIQUA Citrus Mix flavor is as juicy as a real green Citrus Mix, and LIQUA Coffee – tastes as good as what you’ve got in your morning cup. Our customers always thinking where to buy Liqua E-Liquid in Brisbane, Australia? and the answer is eCig World is the only place where you can get discount and free shipping with Australia wide express delivery.